It's that time of the year again! Well ... 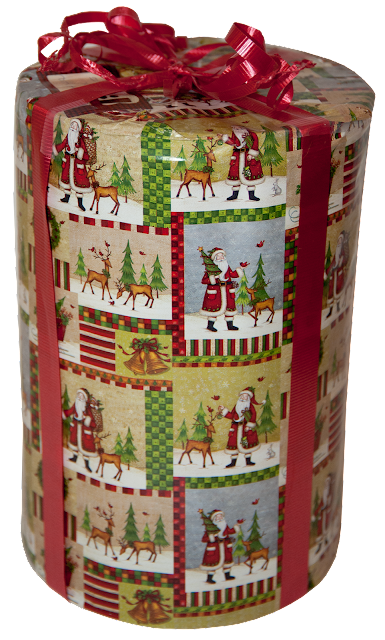 I guess depending on when you happen to be looking at this page it's that time of the year ... yep, Christmas. 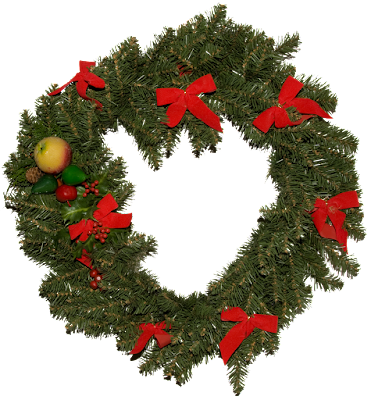 There are some folks who prepare for Christmas all year long, and there are others who hurriedly put up their decorations the week before December 25th. Which are you? 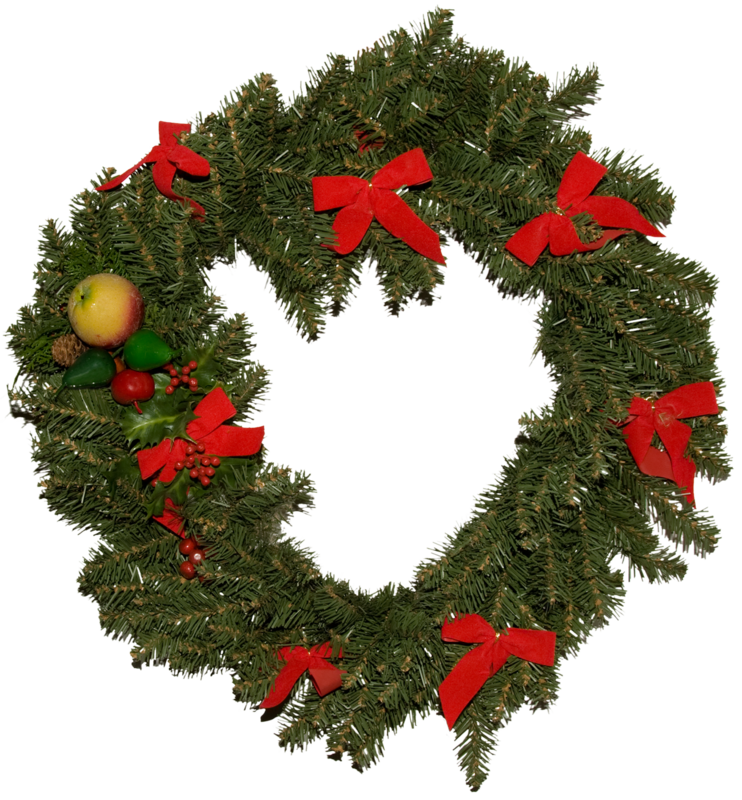 A traditional style Christmas wreath. Me, I'm up and down. Some year's I have my stuff up in early November, and others, not until the beginning of December, but I almost never wait for the week before Christmas ... I have a nice Christmas village with about 40 buildings in it, and it takes time to haul all the stuff up from the basement and then decide how to arrange it. Then I have to start taking them out of the boxes and putting the lighting in it and it can take 3 or 4 days just to get the village set up to my liking. Yeah, I guess I'm a little fussy about it. On the other hand, the Christmas tree takes about 3-5 minutes. I've got one of those pencil-type trees - about 6' tall, but super skinny, and fits in a small flat box - a little bit like this one but mine has decorations instead of poinsettias. Up and down in under 5 minutes. When we're home during the holidays, the main floor of our home is done up as much as it can be, removing dishes and replacing them with holiday dishes, and open shelves contain decorative items like Hallmark's singing snowmen (I have about 5 of these so far), or figures like the Christmas penguins. This year (2017) will be the first year we aren't at "home" during the holiday season ... we're planning on being Florida for Christmas this year. I'm still uncertain about it ... somehow I don't think it will be the same, so I guess I'll find out before too long. Christmas Penguin with ear-flap cap and black boots. 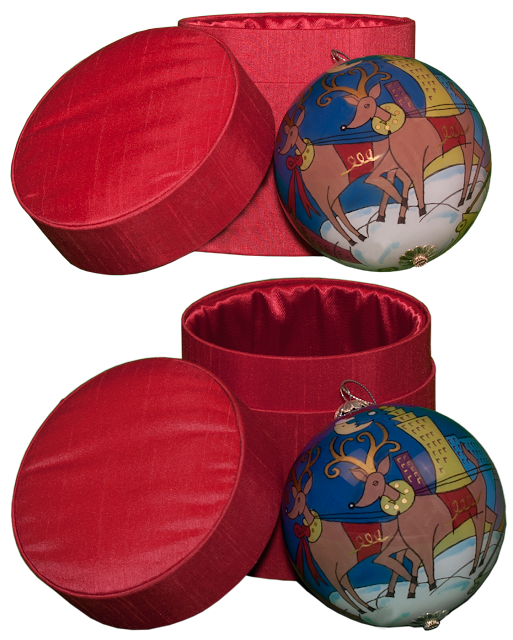 Boxed Christmas decoration (two views, same item). 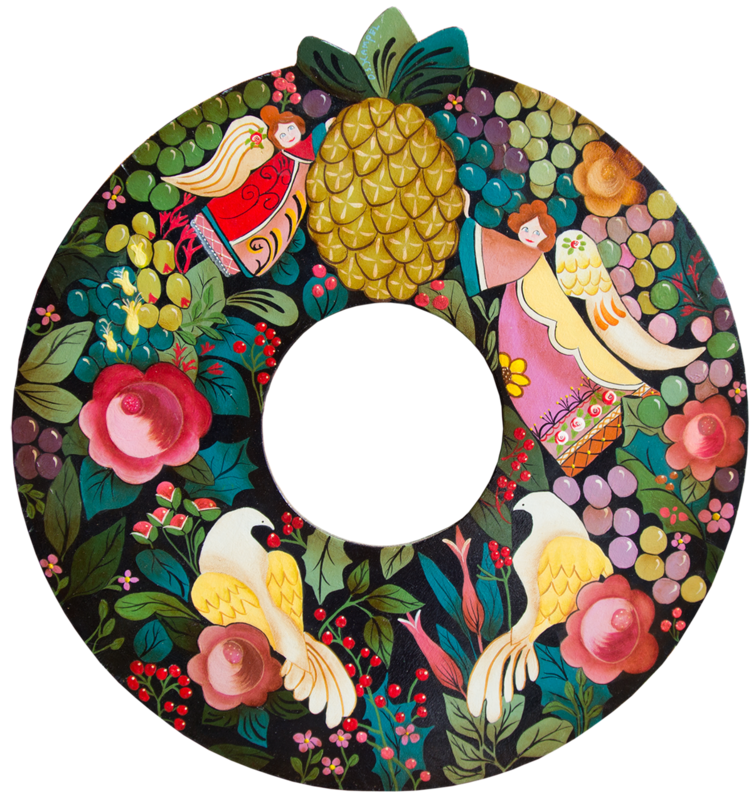 A folk-style wooden Christmas wreath. 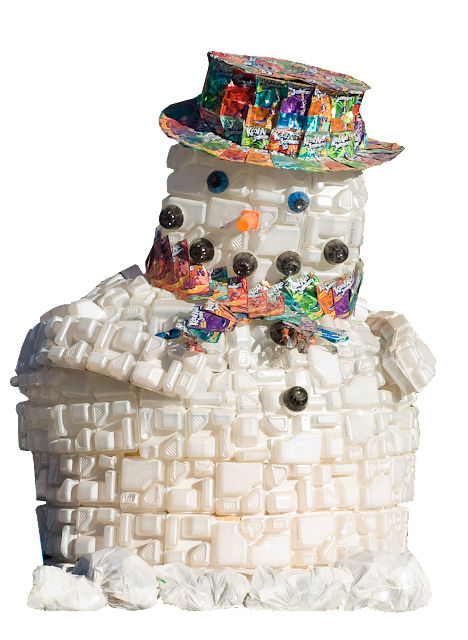 Snowman made with plastic packages recycled.